There’s a certain exuberance in the air when the Artie’s Festival comes to town. The audience at the NCPA experiences the intimacy of chamber music as it was intended to be. They are also drawn to the familiarity associated with the biannual festival that has been a fixture on the Western classical music calendar in India since 2008. A familiarity not so much gained from the choice of repertoire as it is from the conduits for the music – the Artie’s musicians. 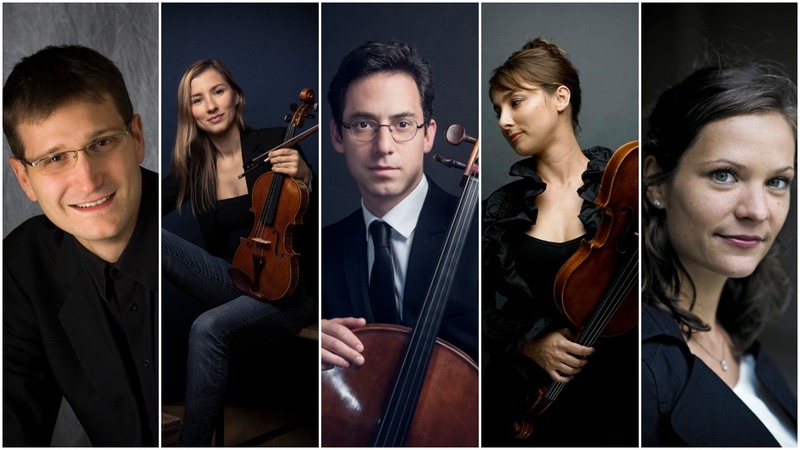 The Artie’s Festival India is led by French cellist and Artie’s founder Gauthier Herrmann in collaboration with the NCPA, Mumbai. While the first edition of the chamber music festival took place at the NCPA on 6th March, 2008, the idea to create such a festival really goes back to much earlier. It was Herrmann’s first trip to India in 2001, when he met fellow classical music lovers Binaifer Malegam and Jehangir Batiwala from The Poona Music Society at a cello recital in Pune. On being introduced to NCPA Chairman Mr. Khushroo N. Suntook and the NCPA as a whole, Herrmann recalls being “fascinated by the incredible arts complex in Mumbai” and adds that his long standing friendship with Mr. Suntook is one based on an honest and deep passion for music and repertoire. It was this shared intrigue for Western classical music that kick-started a collaboration between Herrmann and the NCPA. The Artie’s Festival took off as a multi-city tour across India twice a year. It was eventually poised to become an ever-growing collective of musicians that travels to countries beyond Europe, like Bahrain and Beijing. “We are always very interested in touring in countries where Western music is not particularly known. The fact is that we are too curious, and we’d be too bored to only perform in Europe. It’s our mission to spread music, art, joy and passion in every country, every community and every heart,” says Herrmann on the Artie’s mission of making chamber music more accessible to all. Besides bespoke concerts and living room recitals, the group of musicians has also started a new orchestra, the OCF, Orchestre de Chambre de France, which recently introduced Western classical music to an entirely new audience in Saudi Arabia. Come 2021, the Artie’s will embark on the Artie’s World Tour — Around the World in 80 Concerts, an ambitious project that will see them tour 30 countries across six continents over 160 days. As any loyal fan of the Artie’s Festival has come to realise, the festival’s longevity is based on the pure exchange of emotion and energy between the acclaimed soloists who otherwise perform with internationally renowned orchestras in Europe. Herrmann visits India at least twice or thrice a year for the Artie’s Festival and to host outreach musical programmes in rural or deprived areas. He nurtures a close relationship not only with India and its Western classical community, but also with his audience. His wife, violinist Mathilde Borsarello Herrmann, who has also been a part of several editions of the festival, believes that with the passage of time, the loyalty between the audience and musicians becomes mutual. The origins of chamber music date back to the 17th century with the very word ‘chamber’ referring to music performed by an ensemble at small gatherings in the home or court. The thing about Artie’s is that even though it has its roots in the traditions of centuries-old chamber music, it is not bound by stodgy convention. Contrarily, there is an accompanying air of conviviality and lightness, whether the Artie’s plays as a small ensemble or in a larger format. In at least three editions of the festival, the Artie’s Chamber Orchestra – an ensemble of ten to 15 musicians – performed a sparkling concert of symphonic music specially arranged for chamber orchestra. More frequently, though, the Artie’s Festival India has been known to feature an ensemble in the form of trios, quartets or quintets. This month, too, when the festival returns to the NCPA for the 22nd time in 11 consecutive years, the Artie’s will present themselves as a tightly-knit group of musicians – friends who are more like family. One is expected to see familiar faces like Herrmann and Mathilde, and pianist Jean-Michel Dayez and Cécile Grassi on viola. As is often the case, the festival also puts forth new entrants; this time, it will be violinist Alix Catinchi, who has been a part of the Artie’s family for the last six months and is looking forward to her first trip to India. Every new edition of the Artie’s Festival introduces rarely heard masterpieces in a spectacular programme meticulously planned by the musicians in tandem with Mr. Suntook. This time will be no different. There will be a focus on Czech composer Dvořák with two of his masterpieces; the extraordinary Shostakovich piano quintet is another highlight. But the main discovery will clearly be Lied from the Korngold Suite written for two violins, cello and piano left hand, says Herrmann. “It’s a slow movement with a long phrase, where each instrument has time to express,” explains Catinchi. “It will be very interesting for the audience because they can hear different formations – trio, quartet, quintet – and see the evolution of the musical language in the same concert,” says Grassi, who admits to having a preference for the Shostakovich quintet because of the presence of different colours and roles in one piece. “It’s a big world in a small space. I like the diversity of his music; it’s very powerful for the imagination.” Catinchi mirrors this thought when she says that different ambiences will be created throughout the festival because not all the musicians will be on stage all the time. The Artie’s Festival 2018 will take place on 19th & 20th November at the Experimental Theatre.